Are your looking for a used car to purchase for a reasonable price, with excellent durability and a great driving feel? There are terrible cars out there on the market which could rip your wallet apart entirely. Especially electrical faults could result in prohibitive repair costs, and it could be your worst nightmare if you do not have good knowledge about cars. I will share with you which used cars is the best bang for the buck in my opinion in the 2.000 – 10.000$ range. Of course, there is always a small chance of purchasing a bad car, but I will lower the risk for you to buy a bad car. In a general, I would say German cars Audi, Mercedes, BMW, etc. often got a lovely driving feel and less big troubles if you are in the range of 2000-2010. After around 2010 they became more advanced, which results in a lot more problems. Asian cars got very reliable engines, but in most cases, they are far behind in driving feeling and interior design. But because they have excellent engines, It would be my choice if I was looking for a reliable car over a good driving feeling. American cars are also an excellent choice if you are looking for a reliable engine. The American engines are often not very efficient tho, usually big engines with high fuel consumption. The chassis and suspension are often very outdated and far behind from the other vehicles. French cars are good cars, but they often have a lot of electrical faults, and the driving feel is not that impressive if you ask me. English cars do often have a lot of problems, but in general, it’s good cars with a lot of functions and good driveability. As you see, in this category of machine damage reports the Asian market is ruling everybody out. Like I told you, the Asian cars got excellent engines with not that much troubles. If you are looking for a reliable vehicle and not looking for great driving environment, I would recommend an Asian car. There are a lot of aftermarket repair parts out there for the Asian market if you have to repair it, the bad side is that the pieces are often somewhat expensive. We will now go over to the top 5 list of the cars with the most reported machine damages. Land Rover is on the top of the list with the most reported machine damages. From my experience in the workshop, this is the reality too. I’ve seen a lot of English cars with a lot of costly faults. After the Land Rover is the German cars, it’s probably because German cars always trying to be on the front edge of trying new technology, and therefore they get a lot of expensive faults. In my experience the German diesel engines are working great, the most strange defects you make, you find in petrol, gas and other new technologies. Remember that everything I write here is only from my experience from the workshop and all the cars that I have driven because of that. You should always do your research from several sources before buying your car. All cars can result in expensive repair costs if you are unlucky, I’m just writing this list to reduce the risk for you. 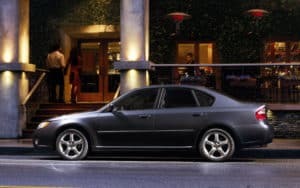 Let’s get over to the list of the best-used cars from the price range of 1.000 – 10.000 dollars in my opinion. This is a list of vehicles that I would buy if I were looking for a car in that price range. Check for any rust under your vehicle and check your cars history with a VIN checkup, to make sure that the mileage of the car is correct and there are no significant crashes in the history. Check the service history to make sure that all services that should have been made previously are OK. If the vehicle is equipped with a timing belt, make sure it has been replaced because it is often a pretty high replacement cost. If you own an OBD2 scanner, you can check for any trouble codes stored in the vehicle. If you consider buying one you can check out our OBD2 scanner review article. An easy way to check a used car is with the help of a car history report. You will see any crashes or milage corrections on the vehicle. An investment before you are buying a used car, which can save you a lot of trouble and money! 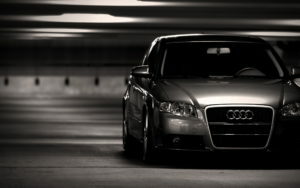 Audi a4 2001-2008 is my first choice. Audi a4 is a good car that I would absolutely purchase myself. You will get a modern car with an excellent suspension and drivetrain. If you are looking for a reliable engine, you can choose either the 1.8 t petrol or the 1.9 TDI diesel engine. Both of these engines have good reliability and are excellent and robust engines. I would not recommend a v6 engine for this cars because you will get a slower car with more problems, yes the 1.8t and 1.9tdi are faster than the v6 without turbo engine. If you are living in a cold country where you got snow, I would recommend that you would buy a 4wd (Quattro). The Quattro system is fantastic, and you won’t probably get stuck in snow or mud. You can choose either the b6 or a b7. Both of these chassis are good, and the b7 is just an updated facelift version of the b6. Also here we have a nice car to drive with good value and durability. Also here, I would choose the diesel engine rather than the gasoline engine. The 320d n47 is an excellent standard, well-tested engine. Be sure to check that the oil & service history of the car is OK. 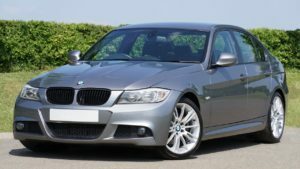 Some 320d got problems with the timing chain, and it could be expensive to replace it. E90 chassis is a great chassi, but if you want to spend a bit more money, the newer F30/F31 chassis is even better. Probably the best driving feeling for a good price! A quality car from Sweden with both a great chassis and engine. Very nice and soft to drive. 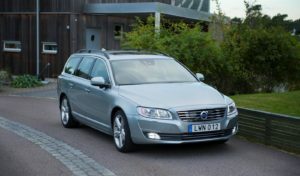 If you want a petrol engine, the engines in volvos are most often from fords. I would instead recommend the D5 Diesel engine here. Choose your year model after your price range. But I would recommend a 2008 and above for the III chassis. The second generation is OK if you want a cheaper car! The best driving environment for a reasonable price! Subaru is known for the highest customer satisfaction and excellent durability. Maybe not the same good driving feeling as the cars above if you ask me but absolutely great for the price. You could get a very good Subaru for a low price. Subarus 2.0-2.5i boxer engines are perfect and I would choose one of those over diesel in this case. Excellent durability for a reasonable price! Now we go back to the German market again. With the same chassis as Volkswagen golf and the same engines for a better price, it would be a shame to say that this is a bad car for the price. 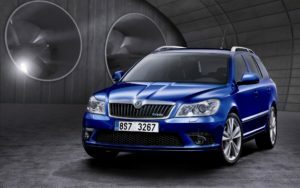 You can often find very good used Skoda Octavia’s for a low price. Choose your model year after your price range, all chassis over 2004 is great in my opinion. 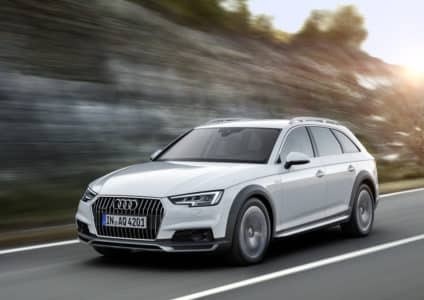 Here is my best choice the 2.0 TDI engine or another diesel engine for great economic and durability. A lot of used German cars is a good bang for the buck. Choose Asian vehicles if you are looking for excellent reliability. Diesel engines are in many cases better in the economic aspect and with a better durability. It depends on how much tax you have to pay for a diesel engine. In many countries, the tax fee for a diesel car is very high, and it is a lot cheaper to drive petrol, gas, hybrid or electric car then. My tip is to buy a conventional car brand and a common engine. You will get cheaper repair costs and probably better durability also. If you have any more questions, you can ask us at our homepage!